A heart wrenching funeral was held today for the three Teul children who were killed last week. Their mother, twenty-two years old Felicia Chen has been charged with their murder and is under observation for her mental state. One child, the eldest, survived the horrific incident; she ran for help telling a neighbor and police that her mother had drown her three siblings. The children’s father, Thomas Teul the second, who has been estranged from Felicia, says that the rocky relationship with her did not cause nor lead to the killing of their children. News Five’s Isani Cayetano reports. 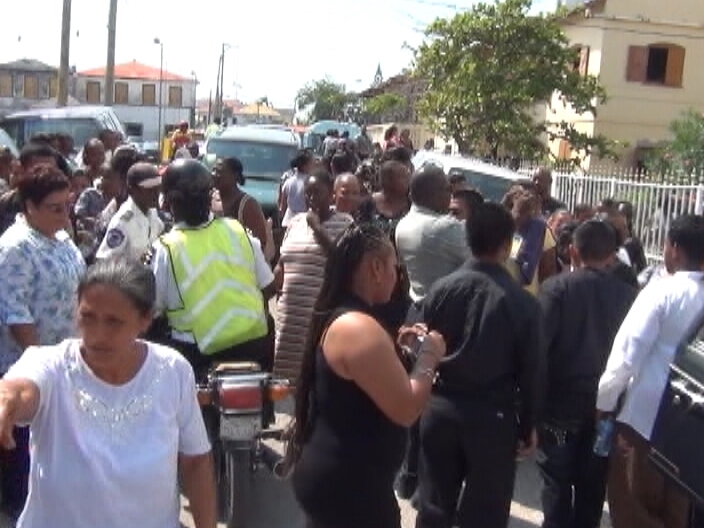 The funeral service of siblings Triana, Thomas and Trinaya Teul at the Holy Redeemer Cathedral this afternoon drew a host of family and friends, as well as a throng of onlookers, who lined North Front Street as the caskets were being carried to a waiting hearse. 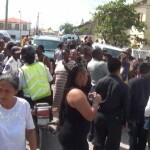 The mass, procession and subsequent interment at Homeland Memorial Park concludes a week of intense media coverage of a sinister incident involving their deaths at the hands of a disturbed mother. Indubitably, the grieving continues. For their loved ones there is still an overwhelming feeling of disbelief, as well as a myriad of questions that may never be fully answered. 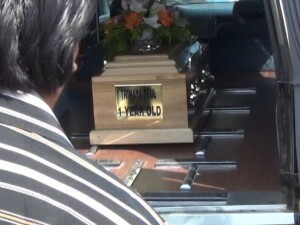 The pallbearers, a set of three, including the father of the slain children, were first to emerge from the packed cathedral bearing the coffins of baby Trinaya, three-year-old Thomas the third, and four-year-old Triana, respectively. Somewhere in the congregation, presumably, was their eldest sister, the only survivor of the harrowing incident. As mentioned before, twenty-two year old Felicia Chen remains under observation at an undisclosed mental health facility, following an evaluation confirming that the mother of four is afflicted with Chronic Clinical Depression. Chen has been charged with three counts of murder, in the wake of an unfortunate incident during which it is believed that she forcibly submerged her children in shallow waters at Belizean Beach. The motivation behind the horrendous act is attributable to any number of things, reasons which will be thoroughly explored by psychiatrists in days to come.